While it used to be that people visit other places to marvel at the sites, taste exotic food, and learn a thing or two about a foreign culture, a new breed of travelers have added a somewhat novel reason: adventure. Some travelers are not contented with just admiring the sights and sounds of wherever they’re visiting. Now, they want to experience an adrenalin rush, drive a jeep off road, visit more places in same day and get a dose of thrills and adventures. The era of adventure tours has indeed arrived. By the way, do you know the origins of the word Safari ? It was roughly in the middle to late 19th century that the Swahili word Safari was first used in the English language. It was one of many incorporated into the “Queens English” at this time because of the influence of foreign languages and cultures on the largest empire the world has ever known, the British Empire. The original Swahili word however was also borrowed from a foreign language, this being Arabic, and is an extension of the word safra, which means “journey”. It was incorporated into the Swahili word kusafiri which means “to travel” and the noun for this word is safari. This word is still in everyday use in Kenya today as it is used there to describe any journey, be it a bus trip to the capital of Nairobi or a 4×4 journey to Punta Cana countryside. Adventure-focused travel has become increasingly popular because it offers something different to travelers and also brings with it certain advantages. For example, in contrast to more “traditional” tourism vehicles, which are more focused toward indoor sights and admiring outside locations, adventure-based travel obviously involves a lot of action. Most of these modern day safaris are run with a strong eco friendly atmosphere. The exotic landscape of Punta Cana have inspired visitors to come again and again. Tourism contributes its major role in the country’s economic development and the country now has shown its interest in developing hotels, resorts and recreation facilities to match its inviting natural surroundings and wildlife for travelers to enjoy Punta Cana holiday to the fullest. If you are a passionate photographer then this is the moment to take out your camera and start taking some wonderful pictures. The places on our itinerary are more than inspiring. Check out the video below. As the biggest touristic zone in the Dominican Republic, Punta Cana boasts a combination of natural beauty and modern living. From outdoor activities to shopping, local art, and exciting night events, Punta Cana has it all. 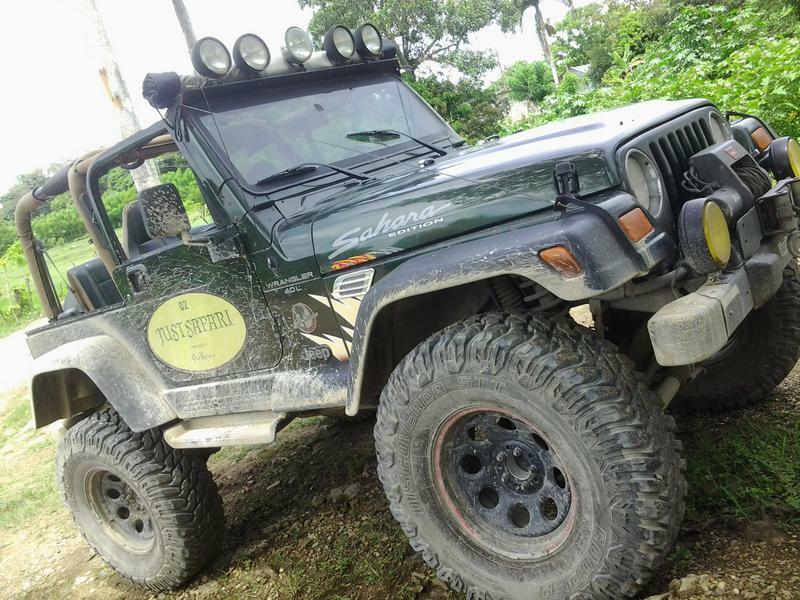 Our Jeep Safari Tour is a great choice because it has lots of things to offer for tourists, especially if they are enthusiastic about exploring nature and having fun doing it. Punta Cana is the perfect location for a 4-wheel drive adventure. Its varying climates, soil and terrains offer the off-roader a wide array of challenges to test their driving skills and get the maximum enjoyment out of having a four-wheel drive vehicle. There are so many excursions in Punta Cana that you can go to, but Just Safari Tour is less overrun with tourists. We strive to keep the “VIP Experience”, maximum 3 to 4 jeeps per tour (up to 15 persons in total) so everybody can get full attention and care. This is not a mass tourist tour: countryside and nature viewing is privileged and an experience, in this setting, that you will never forget. As every other popular excursion, our jeep safari is sometimes reserved far ahead of time; to ensure that you are able to get a reservation, you will want to make your plans in advance, at least 5 days earlier.